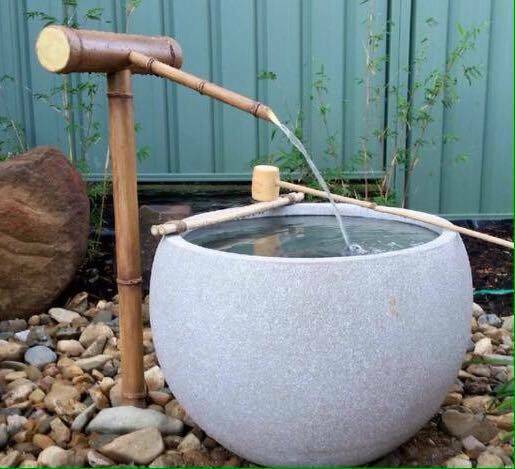 This water feature is accompanied with: fitted pipe, garden stake (which the water feature slides over the top of) 450lph pump and valve (to adjust water flow). *Please note the ladles and bowl are not included. 60cm Shishi Odoshi - Traditional Japanese Deer Scarer! ​The Shishi Odoshi (Japanese for "scare the deer") was originally designed to scare away predators and preserve crops. These days it serves as a beautiful, garden feature through out all parts of the world. Accompanied with: 75cm Tsukabai, all necessary piping, support stakes, submersible pump, tap valve (to adjust water flow) and photograph instructions for installation. * Please note the bowl is not included. To view water features in motion please click play. Water Features require 7 business days for handcrafting. Custom work is also welcome. 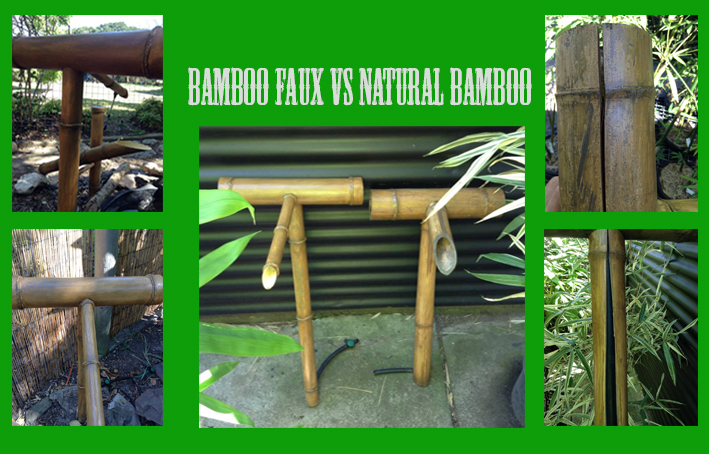 The difference between Natural Bamboo and Bamboo Faux. Natural Bamboo is a living product and poles can split when there is a change in the environment's humidity. Aesthetically, some find splits an authentic and pleasing accompaniment to a bamboo product & they have been incorporated over centuries in a variety of different designs by a range of different craftsmen. Bamboo Faux will not split, as it is handcrafted from artificial materials, and is accompanied with all the pleasing aesthetics that come from the real thing without any aging. Our items are made by the same hands that have worked and problem solved with living bamboo. Our technique, tones and ambiance have been finely modeled after the finest selection of lush and healthy plants grown at Bamboo Grove.